Greedy Bins is a Perth Mini Skip Bin Hire business specialising in Mini Skip rubbish removal services. The family owned and operated company has been known for its fast, friendly service and reasonable pricing in the waste removal business since 2001. If you're looking for a skip bin hire Perth suitable for home or small office, our Mini Skip Bins are perfect for small to medium amount of Household, Garden and/or Domestic waste. Mobile: 0419 760 174. We are open from Monday to Sunday, from 7.30am - 5pm mon to sun. 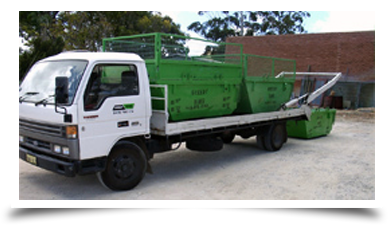 As the best Mini Skip Bin Hire Perth service, our team is highly trained to offer you an accurate quote over the phone. They will gladly help to assess your waste stream and assist in deciding which Skip Bin size you should be using. Greedy Bins offers a range of skip bins sizes and specializes in 2.5 to 4.5 m3 skip bins to suit your needs. We work with our customers closely to ensure you receive the right bin. Why waste your time to get rid of your waste? Let us take the hassle out of your life. Greedy Bins is best known for on-time delivery of bins. Our best service also includes same day delivery and same day empty throughout metro Perth. Our friendly staff will always arrive wearing uniform so you can identify who they are to provide you to emptying your skip and quick pickups when is needed. The company's mission is to simplify your day-to-day life by offering an excellent waste management service from a name you can trust. What better way to dispose wastes than hiring a team of hard-working professional in the neighborhood? Call us now to dispose waste in an environmentally-friendly manner! Thank you to Greedy Bins, the young man who came was helpful, he loaded the bin for me, he had excellent people skills, was courteous and offered to help me again anytime I called. This was excellent service and I appreciated everything he helped me with. I would recommend their professional service anytime. Greedy Bins provided a good service. We needed our rubbish removed in a hurry as we were moving and the whole process went very smooth and on time. We were pleased. We will use them again and recommend them to others. Happy to recommend Greedy Bins, they were on time, reasonable price and the bin was a good size. No trouble at all.